Even though Senate Republicans' push to repeal the Affordable Care Act fizzled out last week, health insurers are still grappling with uncertainty over whether the federal government will continue to fund crucial subsidies that help low-income Americans pay for health coverage. Insurers and lobbying groups have warned over the last few months that premiums will increase if the cost-sharing reduction subsidies go unfunded in 2018. 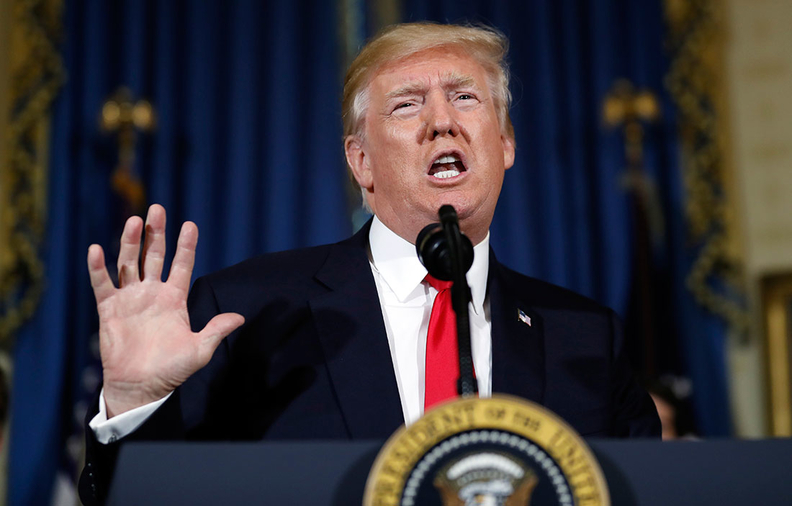 Now the Trump administration could also face new litigation if it fails to make the subsidy payments, as President Donald Trump has repeatedly threatened to do. On Tuesday, California's insurance exchange—arguably one of the most successful ACA marketplaces—announced its individual ACA rates will go up 12.5% on average in 2018. But if insurers don't receive assurances that the Trump administration will fund the cost-sharing reduction subsidies, or CSRs, insurers' rates for silver plans will rise an extra 12.4%, said Peter Lee, Covered California's executive director. Lee said Covered California needs to see "clear and definitive policy guidance" from Congress and the White House that the CSRs will be funded for 2018 by the end of August, or it will lock down the higher rate increases. California Insurance Commissioner Dave Jones also on Tuesday threatened to sue the Trump administration if it doesn't continue to fund the CSRs on grounds that "the president is not complying with the Constitution and is not executing faithfully the Affordable Care Act." "Make no mistake—this is not about letting Obamacare fail," Jones said, referring to recent tweets in which Trump stated he would end cost-sharing subsidies if a Republican healthcare bill isn't soon passed. "This is President Trump acting concertedly to wreck Obamacare and deny healthcare coverage to millions of Americans." Experts expect that other states and insurers are likely to bring lawsuits against the administration if Trump makes good on threats to stop funding the CSRs. Nicole Elliott, a tax attorney with the law firm Holland & Knight and a former member of the senior executive team with the Internal Revenue Service, said insurers would have a strong case. "The interpretation of whether there was funding for such payments was thoroughly reviewed during implementation of the Affordable Care Act by those in the Obama administration and sufficient legal authority was found," Elliot said. Still, a U.S. District Court judge last year ruled in favor of House Republicans that Congress did not appropriate funding for the subsidies and enjoined further payments to health insurers. The Obama administration appealed that decision. The case is on hold in an U.S. appeals court in Washington. In May, 16 state attorneys general asked the federal appeals court to let them intervene in the litigation to keep those payments flowing. Cost-sharing reduction subsidies are one of the major pillars of the Affordable Care Act. These subsidies help reduce out-of-pocket expenses, such as deductibles and co-pays, for consumers with annual incomes of up to 250% of the federal poverty level who purchase certain plans through the ACA's exchanges. Cost-sharing subsidies are paid directly to health insurers, who then use them to lower costs for consumers who qualify. About 7.1 million consumers benefited from cost-sharing subsidies in 2017, according to the Kaiser Family Foundation. The subsidies cost the federal government about $7 billion in 2017. Trump and congressional Republicans have blasted the cost-sharing subsidies as insurer "bailouts." Trump has for months threatened to end the payments, which experts say could cause the individual health insurance market to collapse. Without the subsidies, health insurers would likely raise insurance premiums. Many health plans have already filed lofty 2018 rates that assume the cost-sharing subsidies won't be paid in 2018. Industry lobbying group America's Health Insurance Plans has warned that premiums would increase by about 20% if the subsidies go unfunded, leaving insurance coverage unaffordable for many consumers. Moreover, some insurers have threatened to exit the insurance exchanges if the Trump administration doesn't guarantee that subsidies will be funded in 2018, and some have already made plans to do so. For instance, national insurer Anthem, a major exchange player that insures about 1 million marketplace customers, confirmed Tuesday that it will exit 16 of 19 exchange regions in California and remain in just three regions. About 153,000 consumers will have to find a new insurer. Anthem, which previously announced it will exit exchanges in Indiana, Ohio and Wisconsin in 2018, blamed its decision to leave certain California regions on the uncertainty regarding cost-sharing reduction subsidies, as well as the unstable individual market and the health insurance tax. Anthem has warned that it could pull out of more exchanges.